Wednesday, April 10 from 7-8:30 p.m.
Rocky Mountain Anglers member Lee Rasmussen said walleye are quite difficult to catch because they aren&apos;t in every Utah waterbody and because they can be difficult to locate. He said it is in the best interest of anyone who wants to learn to catch walleye to attend this seminar and learn from the experts. "The people teaching at this seminar are the premier walleye anglers in the state of Utah," Rasmussen said. "You have to be an actual angler to find walleye and entice them to bite. 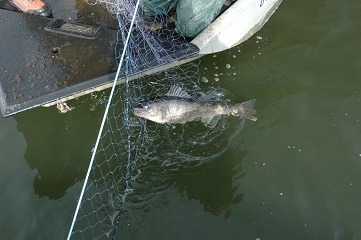 Fishing for walleye is not like fishing for trout." Although this event is free, space is limited and registration is required. Participants can register at the link at the bottom of this article. If you aren&apos;t able to attend, you can still participate by watching a recording of the seminar on the DWR YouTube channel. Rocky Mountain Anglers, Utah&apos;s Blue Ribbon Fisheries Advisory Council and the DWR are sponsoring the event. For more information, contact Rasmussen at 801-580-5779 or at lras3@hotmail.com. If you can&apos;t attend, check our YouTube channel (youtube.com/udwr) afterwards for a recording of the seminar. Spots are limited, so be sure to sign up soon.